Sea touring is not considered hazardous, can be undertaken by all age groups and provides opportunities for visiting otherwise inaccessible islands perhaps with a little bit of adventure thrown in. It is, however, safe only if appropriate precautions are taken and requisite gear carried either by individuals or as group equipment. In this respect it has much in common with hill walking. A risk assessment, however brief, should be a normal prerequisite to group trips, with briefing of the group by the leader as necessary. Weather conditions and strong tidal streams are major considerations in any plan for touring off the west coast. 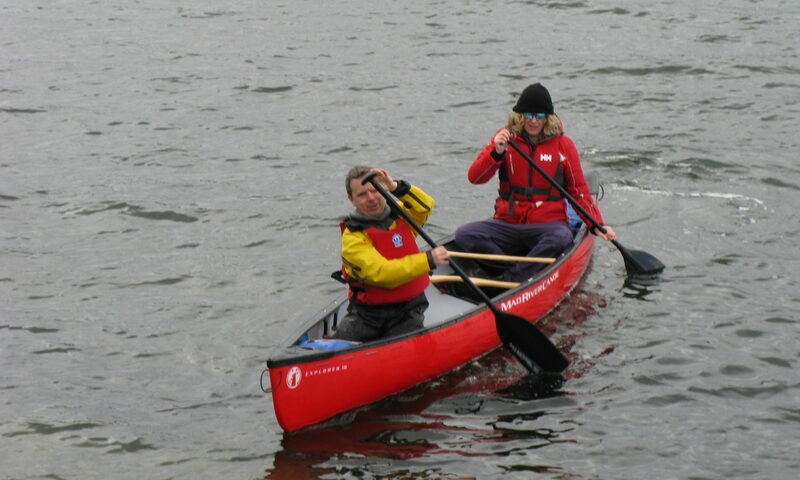 Foul weather clothing for both in and out of the kayak e.g. pitching tents, moving gear to and from boat. Normally comprises wellies, waterproof trousers or salopettes and semi-dry cag with hood. Waterproof breathable gear is more comfortable. Although unnecessary for most summer paddling it should be carried on extended trips in some form. Some paddlers travel very light and others would take the kitchen sink if possible. Trial and occasional error will determine what each individual prefers. Our club has a good safety record but that does not mean we cannot reduce the probability of incidents still further. It is considered prudent to expand the information in the documents Trip Considerations and Kit List (Nov 08) and Touring Requirements and Abilities (April 09) to give clear instruction on what must be carried on day/multi day expeditions both at sea and on fresh water lochs. The following is recommended practice for all except close inshore training and short paddles under instruction. All individuals are expected to carry yachting type coastal flares of the hand held design; 1 x red, 1 x orange smoke as a minimum. A red 350 metre parachute flare is also recommended for ‘regulars’. A whistle and head torch/strobe must also be carried together with spare clothing (unless wearing a dry or wet suit) as a matter of course. The hand flares, whistle and torch/strobe must be carried in or attached to the buoyancy aid.